Some women experience problems when wearing mascara such as itchy, watery eyes or stinging, redness and irritation. Sometimes it is in the chemical formula or it can be as simple as the pH balance not being correct. Unlike the pH of our skin which should be maintained at a 4.5 - 5.5, our eyes are a pH of 7. When this pH is out of balance is when women can and will experience burning or stinging eyes. We put our natural mascara through a trial period of over one year to make sure we did not experience complications in this regard, and all testing proved safe and without any eye issues. Women want a mascara that performs, but don't want all the junk that other brands offer. So do we, and this is why it took us so long to provide a mascara to our customers that would be worthy of this scrutiny. Our natural mascara glides on smoothly without clumping and will provide nice coverage on eyelashes without the mess. Best part they won't feel hard and plastic, but soft, pliable and natural and it is exactly what we wanted to achieve with our mascara. You can create fuller, thicker and longer eyelashes even when too much is applied. You'll love all the benefits with our LASH Exclusive! Other natural brands of mascara have fallen short in performance of lasting all day. We knew we had to get this one right. It is not only water-resistant, but we have worn our mascara to bed and all the next day and still have beautiful lashes without the raccoon eyes. Yet it is readily removed with one of our Facial Cleansers without tugging on your lashes or delicate eyelids. Note: Mature women tend to lose fullness in their hair, and their eyelashes can also thin. Using waterproof mascaras are detrimental to preserving eyelash growth causing tugging and extra effort to remove, which is why we recommend not using them. A natural mascara has been our goal for some time now, keeping the ingredient profile as minimalistic as possible. With this also comes responsibility for keeping our ladies eyes safe, so we incorporated a small amount of preservative (phenoxyethanol) to maintain the integrity and stability of the product for a minimum of 3 months after opening, as notated by the open jar symbol on the label. Much past this mark, we recommend you replace with a fresh tube. Another concern we have in regard to other all natural brands is the claim of "natural" while leaving out a preservative. Unfortunately, contamination can occur with a single application. Without a preservative system in place, any other natural mascara will be compromised in a matter of days and mold and bacteria will grow at an exponential rate. Never use a mascara that does not contain a preservative despite the sales pitch. Plus, never share your mascara with anyone. 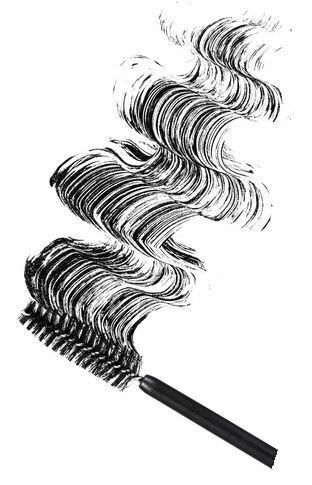 If you don't use your mascara that often, we still recommend discarding after 6 months maximum. However, always discard if you begin to experience any burning, stinging or itchy eyes after our recommended period of opening since this is a signal that your product is dated and no longer performs well. Please NEVER add water to prolong a mascara that is beginning to dry out. To prolong your mascara never pump the wand which forces air inside, and keep the cap on tightly and your tube should last you the recommended time frame for use. *NOTE: Grapefruit Seed Extract (GSE) is popular for preserving some natural brands. This is NOT a preservative despite being promoted as such. It is chemically altered and some versions contain benzethonium chloride at relatively high levels of 8%, which is a synthetic antimicrobial agent commonly used in cosmetics and only approved for topical use. At this concentration it can prove toxic to the eye as reported by the Swiss Toxicological Information Center of Basel, Switzerland. Other GSE versions contain Triclosan and Methylparaben to preserve the extract but will not offer protection to any product it is added to. Therefore the conclusion is, the potency and universal antimicrobial activity attributed to Grapefruit Seed Extract is merely due to the synthetic preservative agents added to it. Non synthetic GSE was also lab tested and has NOT shown any antimicrobial benefit to keep the mascara safe from microbial growth or any other natural types of cosmetics. Stay safe and keep your eyes healthy by following these few guidelines when using any mascara, especially all natural brands.